It has been argued that Customer Relationship Management systems are simply a step of the business process; however, other business owners view CRM as a strategy to reaching specific goals that contribute to their business’s success. Business processes are defined as guide, or steps, for individuals to get work done, which ultimately leads to a completed task. Strategies are much more detailed, ongoing processes that are used to create and add value over the lifetime of an organization. 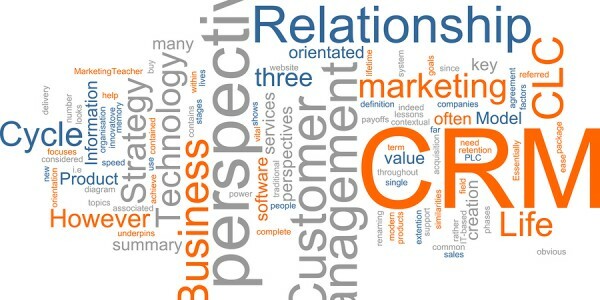 What do you consider CRM for your business? For example, many business owners follow the process of obtaining a lead, creating an entry into their chosen CRM, which they use to follow up with the potential client, perhaps provide a quote and obtain a sale; thus, closing the original lead. This gives the company the ability to label that lead as a new customer. But what happens to that new customer once that particular process is considered complete? Does your process include a strategy to maintain your customer base? Think about that and we will address this further into the reading. Many companies have adopted a CRM solution to implement within their organization. Smaller companies simply use basic features of the CRM to manage their customer relationships, while larger companies have the ability to invest more funds into an ecosystem of choice. However, small and large businesses alike have reported that they are not receiving the return they expected on this particular investment, while other businesses contribute the majority of their success to their CRM solution. Why is that? Most businesses consider CRM as an integral piece of how to run an effective, successful business. So why do some companies have success using a CRM and others are left scratching their heads, wondering what their money went toward? Some business owners think creating and maintaining a CRM strategy is an important component to any business. Customer Relationship Management solutions give organizations the ability to identify which customers are the best customers, and the worst. Once this is determined, different information can be distributed differently to certain customer groups. This is how business relationships are built, by deciding which clients to put focus on and which ones to neglect; thus allowing you to put your attention where it should be, not taking shots in the dark in hopes of gaining a sale. You may have to make several changes in your initial strategy in order to get it just right. However, in creating a strategy for customer growth and/or retention by using a CRM will also lead to other opportunities, which may or may not be anticipated. As a business owner, have you used your CRM solution as a process or do you have a strategy in place? Alderbest Tip – We suggest approaching your CRM solution as the tool that will enable your Customer Relationship Management Strategy. We would love to hear your feedback! Leave us a comment below! Don’t quite have a plan of action to reach your final goal? Contact us to see how your company can benefit from CRM integration!